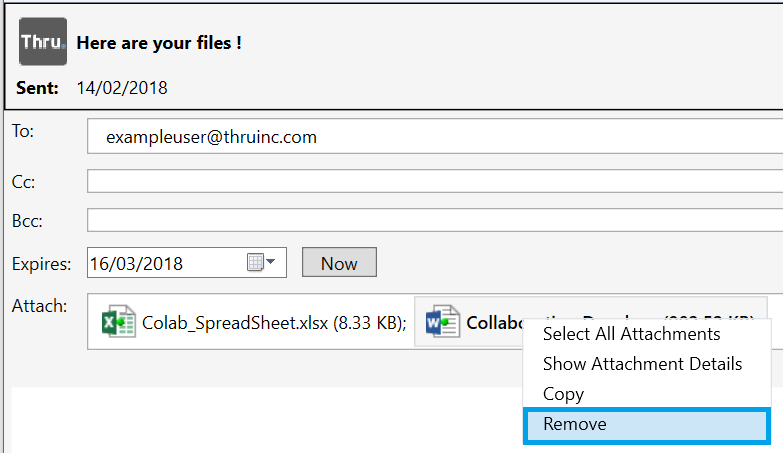 To remove sent attachments, right-click on any attachment from the Edit Thru message window and click Remove. This will prevent recipients from accessing and downloading the sent attachments. 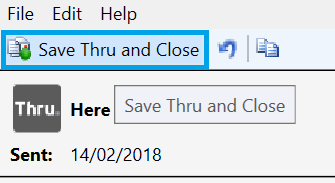 After removing attachments, click Save Thru and Close at the top of the window.